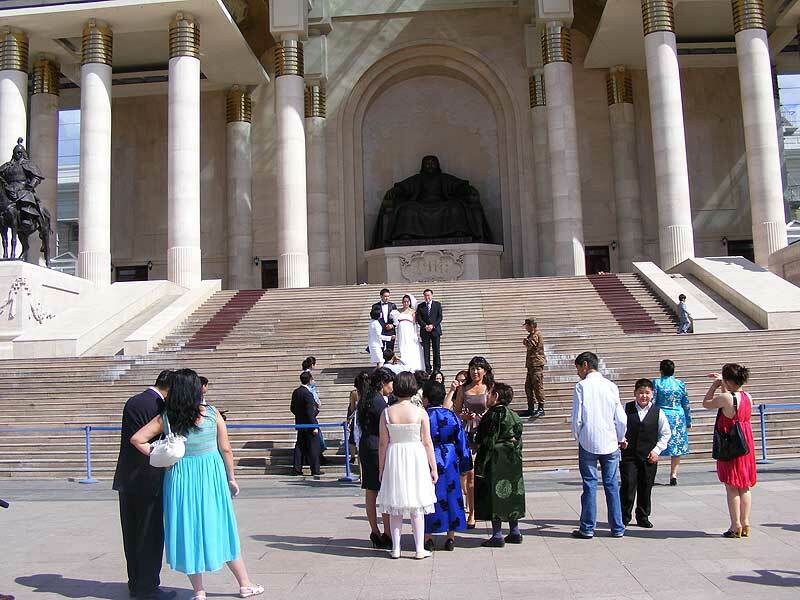 Ulan Bator, the capital of Mongolia: Trans siberian travel. The train makes a 30-minute halt in Mongolia's capital Ulan Bator (1350m above sea level) – enough to stretch your legs and buy supplies and souvenirs from the small shops at the station. But actually, the city deserves a couple of days. Mongolians are very friendly. Although Ulan Bator has a population of 600.000, there is still something village-like about it – you can see, for example, a cow grazing in the middle of town! And on the outskirts people still live in the traditional round felt tents, "ger". One of the most interesting sights is Gandan Khiid – a Buddhist monastery from 1840 with four temples, the biggest of which is 42m high. Other places of interest include the Museum of Natural History whose main attraction is the skeleton of a dinosaur found in the Gobi Desert; the Zanabazar Museum of Fine Arts and the National Museum of History.